Ok so flip, turn, slide or reflection, rotation, translation can be one of those items that gets skipped when other items take a bit longer. It is one of those things that seems to be put on the backburner. Well I started doing this project part way through the year to make sure it wouldn't get missed. 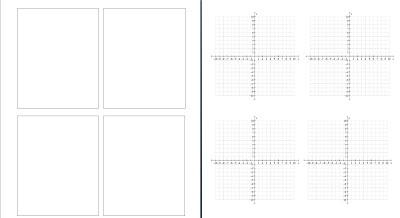 We start just after integers and begin learning about the Cartesian Plane and coordinate systems. This then lends itself to the transformations that can occur on the plane. 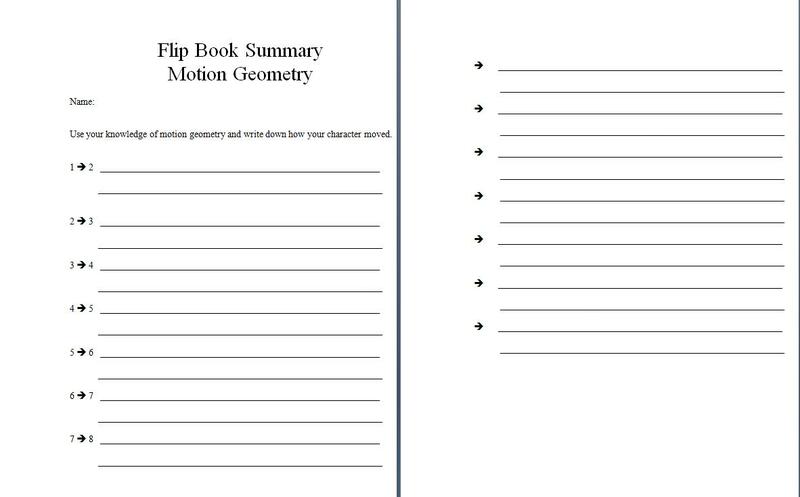 I have had a lot of success with the flip book by have students create motion with their transformations. I have the students work on how to rotate and translate as well as reflect. Rotations need to start with easy 90 degrees, 180 degrees or 270 degrees. More advances students can start trying other degrees but they usually have some difficulty with it. 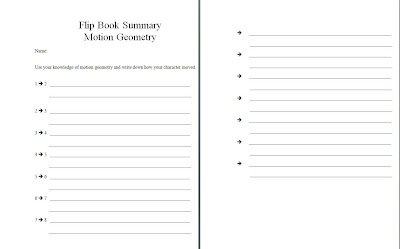 Here are the sheets in one file: Flipbook project sheets on my TPT site if you dont want to just recreate from this page. Have the students use very simple characters or elements of nature. Stick men running or the sun setting are just fine to start especially in the rough copy version. Simple movements end up looking better in a flipbook. I have had boats moving into the sunset and people on trampolines as easy examples. 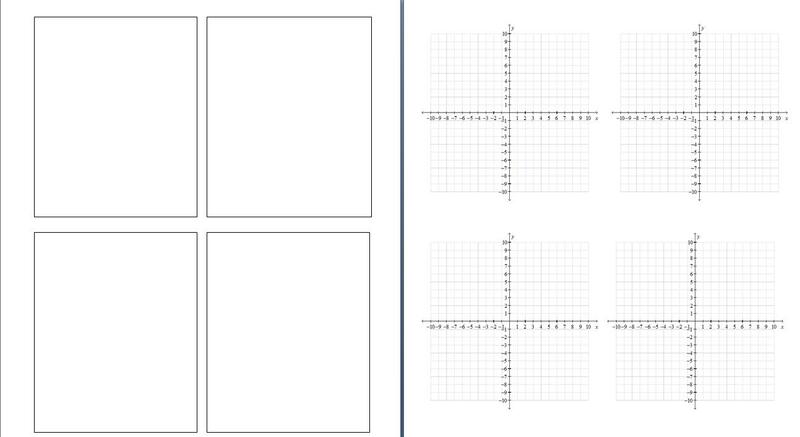 Have the students trace onto the blank version without the cartesian plane. I have them cut out the blanks and then past them onto construction paper or tag paper but have them practice a bit on what will make it flip easier. All pages the same size sometimes makes a few of them skip; so having the pages get progressively longer sometimes helps. I staple the pages together so have them leave enough room so that the pictures can be seen. I also have the students record all the transformations on this sheet. If you need any of the handouts you can post a comment or email me and I will send them to you. I still have many of the books that my students have created and when I leave them out they always get a lot of attention from other students who suddenly want to make their own. Let me know what you think. Comments would be great! Enjoy! Here is a copy of the criteria I hand out. 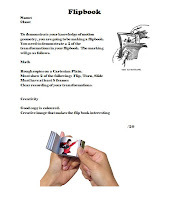 To demonstrate your knowledge of motion geometry, you are going to be making a flipbook. You need to demonstrate a 2 of the transformations in your flipbook. The marking will go as follows. Rough copies on a Cartesian Plain. Clear recording of your transformations.